A diamond is divine — but three are better! 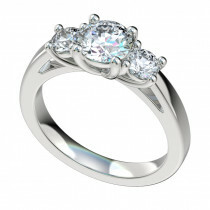 Among our selection of gorgeous engagement rings, Ethan Lord Jewelers is proud to offer a variety of stunning three-stone engagement rings in Chicago. 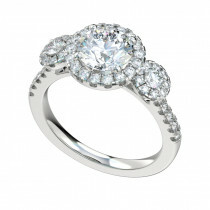 These rings are a classic favorite for women who enjoy their elegant proportions and extra dazzle. 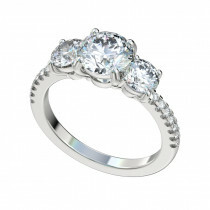 We have three-stone rings with scalloped bands, as well as halo and trellis designs, giving you various options to explore. 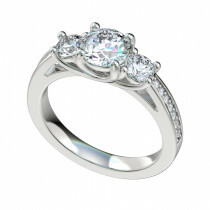 Take a look at our selection of diamond trios to see if something catches your eye. Or, if you have something special in mind, remember we offer a custom engagement ring service in which our specialists will custom-create a ring to your specifications. Talk to us about your idea, and let us turn it into a reality.